What was the first golf tee made of? What type of tee do your prefer — short, long, wood, plastic, none at all??? https://i1.wp.com/timberlakegolfcourse.com/wp-content/uploads/2019/01/Fun-Fact-Friday-blog-banner.png?fit=560%2C315&ssl=1 315 560 Teesnap Developer https://timberlakegolfcourse.com/wp-content/uploads/2018/05/Mod1.png Teesnap Developer2019-02-01 17:24:202019-02-01 17:24:20What was the first golf tee made of? Practice your putting all year long! The following at home golf drills are beginner level to build basic fundamental putting stroke skills. You need just a few phone books and a coin or tee to set up these indoor putting practice drills. Also, you can practice these putting drills on carpet if you don’t have a synthetic indoor putting green. Drop two phone books onto the ground at home and leave enough distance between them that your putter can barely squeeze through. Make practice strokes focusing on keeping the putter path straight and putter face square. If you don’t, you may bump into the books which give you feedback that your putting stroke wasn’t straight for that stroke. Set up two phone books again so that you’ve left your putter enough room to make a stroke between them. Now place a 10 foot piece of painter’s tape in the middle of the path and parallel to the books so that it creates a target line. Several feet of tape should be outside the books so that you can see how your ball stays on line for several feet. Set a golf ball down in the middle of the books path on the target line you’ve created and stroke putts. You can use the books to monitor your back swing length compared to your forward swing length. The forward swing should be equal or slightly bigger than the back swing. Using the books as a guide for a straight putting stroke, try to see how many putts you can keep on the tape/target line. Pick a target to putt to from 3 feet away and using just your right hand, stroke one handed putts trying to hit the target. Make sure to keep the putter path straight still as well as the face square to your target. This will build your putting stroke by ingraining skill with one hand. Repeating the same golf drill from above, use just your left hand to stroke 3 foot putts to a target you’ve selected. These two one handed putting drills make a our list of the best golf drills at home because of their simplicity but also their effectiveness. You’ll be surprised how much more confident you feel once you can master one handed putting strokes. Spend 15 minutes each day and it will add up over the month, you’ll see. One of the best ways to practice putting at home is simply working on your control of the putter face. Set up a golf tee so that it’s upside down. Starting 3 feet away, putt a ball to the tee trying to knock it over. Then move back to 4 feet, 5 feet, and so on. Try to work your way back to 20 feet away and still be able to knock the tee over. You’ll gain amazing feel of your putter’s face and know when you’ve closed the face or opened the face during the putting stroke since you’re hitting to a super small target. Grab a King of Hearts playing card from a deck of cards and lay it on the carpet or floor several feet away from you. Attempt to putt the golf ball with enough speed that it stops on top of the king of hearts. This is a challenging putting drill that will improve your putting distance control before you know it. And using a playing card helps simulate a golf hole since it’s small, so you’ll also work on your putting accuracy by making sure you’re aligned to the target properly. For this putting practice drill, you want create a 1 foot long box or zone using tape or some sort of distance marker. The goal is to putt all 3 balls into this zone with each ball going slightly further than the previous ball. But the 3rd ball can’t go beyond the 12 inch zone. It teaches you putting distance control by forcing you to feel each putt and try to replicate that distance but slightly further without over hitting the ball so that it rolls beyond the 1 foot long zone. Lastly, we want you to improve your putting set up and your stance. This is a fundamental step to helping you make a straight putting stroke. Have your putter sitting next to the couch and during TV shows or during commercial breaks, stand up and work on the proper putting stance set up. Doing this for just 15 minutes per day can build muscle memory and turn into a good habit so that your putting stroke improves without a whole lot of effort. https://i2.wp.com/timberlakegolfcourse.com/wp-content/uploads/2019/01/TUNE-UP-YOUR-GAME.png?fit=560%2C315&ssl=1 315 560 Teesnap Developer https://timberlakegolfcourse.com/wp-content/uploads/2018/05/Mod1.png Teesnap Developer2019-01-29 10:31:132019-01-29 10:31:13Practice your putting all year long! Tiger’s coming for you Torrey Pines! https://i2.wp.com/timberlakegolfcourse.com/wp-content/uploads/2018/09/2018-09-11_1142.png?fit=500%2C300&ssl=1 300 500 Teesnap Developer https://timberlakegolfcourse.com/wp-content/uploads/2018/05/Mod1.png Teesnap Developer2019-01-23 10:16:352019-01-23 10:16:35Tiger's coming for you Torrey Pines! Get better results on the links with a pre-game warm-up! Try these tips now for a better golf game in 2019! Membership Opportunities from Timberlake — Best Deal in Town! https://i2.wp.com/timberlakegolfcourse.com/wp-content/uploads/2019/01/TUNE-UP-YOUR-GAME.png?fit=560%2C315&ssl=1 315 560 Teesnap Developer https://timberlakegolfcourse.com/wp-content/uploads/2018/05/Mod1.png Teesnap Developer2019-01-22 11:10:212019-01-22 11:10:21Get better results on the links with a pre-game warm-up! Improve your game with this week’s tip! Putting is extremely personal, but everyone should feel comfortable over the ball. I like when my arms hang freely, and I have a slight roundness to my back. As for the stroke, I don’t think about the length the putter moves back and through. Instead, I try to be as athletic as possible, meaning my process is to look at what I have to do—then react. If you’re shooting a basketball, you don’t think about how hard your arm has to move for the ball to reach the basket, you just look at the rim and let it fly. Try putting with that same mind-set. https://i2.wp.com/timberlakegolfcourse.com/wp-content/uploads/2019/01/TUNE-UP-YOUR-GAME.png?fit=560%2C315&ssl=1 315 560 Teesnap Developer https://timberlakegolfcourse.com/wp-content/uploads/2018/05/Mod1.png Teesnap Developer2019-01-15 10:47:492019-01-15 07:08:02Improve your game with this week's tip! Few aspects of the golf swing hold more fascination for struggling club golfers than how to achieve the correct golf grip. Swing plane, pronation, supination, re-routing, downswing transition, leg drive, and hip resistance on the backswing are some of the more elaborate theories investigated by golfers who habitually slice or hook. Yet more often than not the real cause of wayward shots lies in the way a golfer places his hands on the club. So, before you start making extreme changes to swing mechanics, you should first simplify the golf swing technique by making sure the grip is correct. Following are three of the most important aspects of the grip that affect the takeaway, swing path, plane, and control. The ‘V’s created by the index finger and the thumb of the left and right hands must point to the right shoulder. Although this is extremely well known, it’s surprising how many golfers have trouble achieving this orthodox hand position. A golfer who slices normally has a weak grip where the left hand is too much underneath the shaft. If you slice, the first thing you should check is that the left hand is turned more to the right, with three knuckles visible after taking up the stance. Conversely, a golfer who hooks should check that the left hand is not in a “strong” position where it is turned to the right too much. The path of the golf swing takeaway is directly affected by the grip. If the left hand is twisted round to the right too much in a ‘strong’ grip, it generally sets the left arm higher than the right – this leads to a swing path that is too inside and a swing plane that is too flat, which results in a hook. If the golfer’s left hand is on the club in a “weak” position, the right arm is set higher than the left at the address which leads to an outside swing path, a steep swing plane and invariably a slice. Although you may know that you swing the club too flat or upright, before you try to swing onto a more effective plane, check that the hands are placed on the club in a neutral grip. Topping the ball is a very common fault. In many cases it can be cured with the correct placement of the right thumb and index finger on the club of the right hand. As the club comes into impact the index finger of the right hand is responsible for accurately squaring up the blade and must be in the most efficient position to guide the club. The thumb is responsible for driving the clubhead down into the ball. It is vital for the thumb to be set on the left-hand side of the shaft — not on top of the shaft, which may seem logical but is wrong. One of the most common causes of mis-hit shots is the loss of control at the top of the backswing. An overswing means a loss of control but with good placement of the left-hand thumb on the club, unless double jointed, an overswing becomes almost impossible. When taking up the grip, allow the left thumb to sit naturally on the club and not stuck down the shaft, which creates an ugly gap between the thumb and index finger. With the thumb in this position, it is much more capable of controlling the downswing transition, when leverage is at its maximum. https://i1.wp.com/timberlakegolfcourse.com/wp-content/uploads/2019/01/Fun-Fact-Friday-blog-banner.png?fit=560%2C315&ssl=1 315 560 Teesnap Developer https://timberlakegolfcourse.com/wp-content/uploads/2018/05/Mod1.png Teesnap Developer2019-01-04 15:51:572019-01-04 15:51:57It's Fun Fact Friday! The Masters — the best event in Golf! Who will you be cheering for to WIN the 2019 Masters? 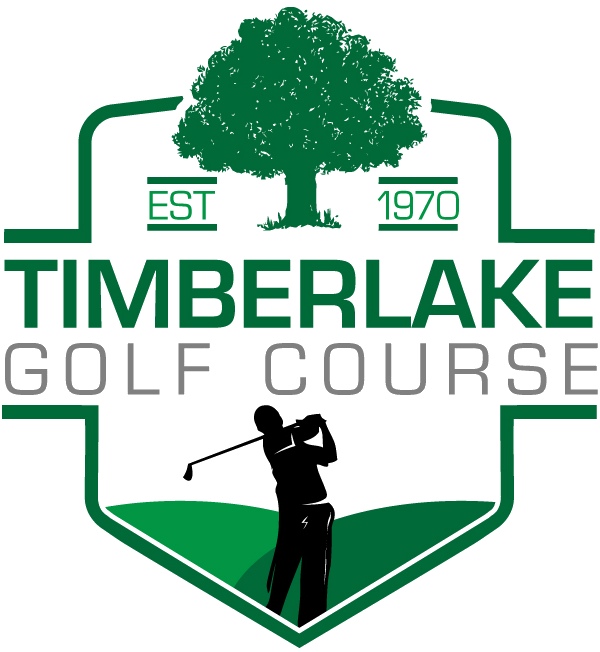 https://i2.wp.com/timberlakegolfcourse.com/wp-content/uploads/2019/01/13th-Augusta-blog-banner.png?fit=560%2C315&ssl=1 315 560 Teesnap Developer https://timberlakegolfcourse.com/wp-content/uploads/2018/05/Mod1.png Teesnap Developer2019-01-02 13:15:232019-01-02 10:54:26The Masters -- the best event in Golf!